We at Ipswich Cycle are commited to producing the highest quality product, at a reasonable rate. 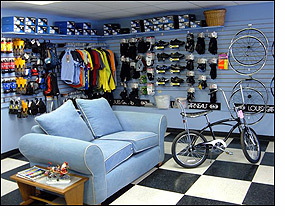 We are a full service bike shop and will work on ANY make or model bicycle. No bike will be turned away. The following is a list of common services we perform. Disk, V, U, and cantilever brake adjustment. From a simple seat swap to a full blow drive train switch, we can do it.